Encryption is an essential tool and a fundamental right. It should be easy to use and available to the entire population, and should not contain any backdoors. Golden Frog advocates strongly for encryption, and we’ve outlined four key principles of encryption below. Apple’s Tim cook famously said “Privacy is a right,” and we agree. Everyone has the right to privacy – both on and offline. Taking this concept further, we believe if privacy is a right then Encryption is the Second Amendment for the Internet. 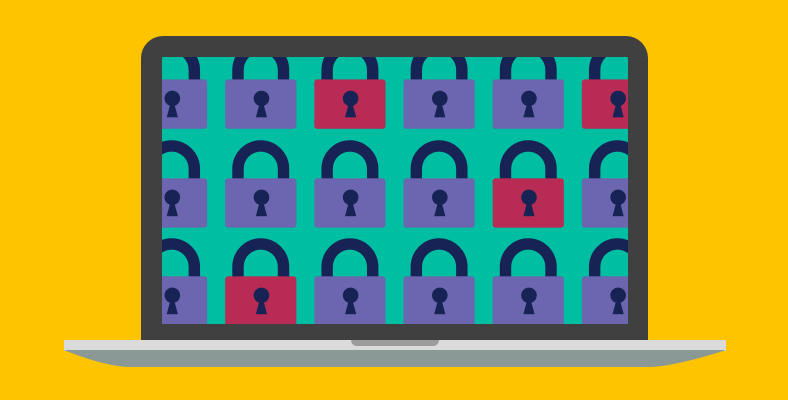 Encryption is your ability to protect and defend yourself while online. Golden Frog offers tools to achieve this protection, and we are incorporated in Switzerland where privacy is a fundamental constitutional right. Encryption should be easy to use and accessible to the everyone – not just the technical elite. It should be turned on by default rather than as a special feature, and should be user-friendly to activate on any device. Think about the days of dial-up, when users had to complete multiple manual steps to connect to the Internet. Technology has evolved past this to make the Internet more accessible for everyone, and this should also be the case for encryption. The technology certainly exists, and we’ve built it into VyprVPN. Our users simply need to login and press the connect button – it’s that easy! Encryption should operate like a utility, such as water pipe or electricity. Ubiquity can be achieved by making encryption available to everyone as part of a standard service, as opposed to an additional “add on.” If availability is widespread there will be mass adoption of encryption. When we move towards mass adoption, it will be more difficult for governments to detect or identify whom is using encryption. But mass adoption of encryption is not enough. Encryption also needs to be undetectable, and we need the tech community to work towards this. As Edward Snowden explained at SXSW 2015, VPN providers must develop new technologies to obscure their services so VPN traffic can’t be identified as being encrypted. He also asserted the need for more randomizing efforts for other services so we, as a tech community, can defeat monitoring at the network level. These suggestions were encouraging because Golden Frog has already built our proprietary VPN technology called Chameleon that scrambles OpenVPN packet metadata to ensure it’s not recognized as a VPN connection. Chameleon allows people around the world, particularly in China, to defeat the deep packet inspection tactics and other network monitoring efforts. There’s an ongoing debate in the United States as the government and other officials push for backdoors into encrypted communications. This initiative is not only misguided, but also represents a serious threat to consumer privacy and business security and a barrier to technological innovation. Luckily, history is on our side. Backdoors were defeated during the Crypto Wars of the 1990’s, and this helped create the modern Internet. Today we all use encryption in our daily lives, oftentimes without realizing it. Encryption is used to facilitate online retail transactions, online banking, social media and many other online communications. Businesses rely on encryption to secure their communications and sensitive financial information, protect trade secrets and provide trustworthy services to their customers. We are strongly opposed to backdoor encryption, and have outlined several counter-arguments to the backdoor encryption issue.